# When Oracle DataGuard high-availability for the OMS database is configured using the OEM DataGuard Administration Wizard, and fast-start failover is configured, fail-overs automatically rename the standby as primary, and vice-versa and establish the change-over in roles. 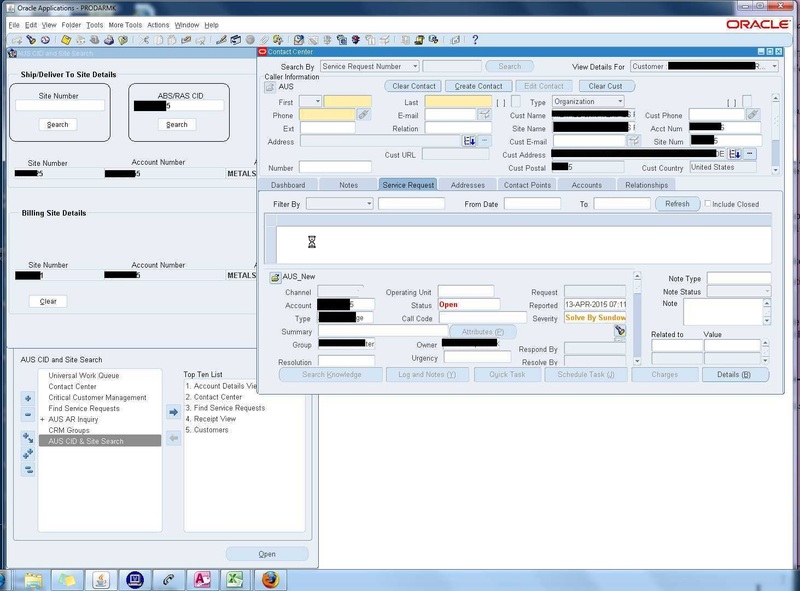 While this accomplishes the database staying online and available on the secondary host (or all other databases in the DG group), the Enterprise Manager OMS must be told how to connect to it – preferably transparently. Successfully updated datasources and stored repository details in Credential Store. If there are multiple OMSs in this environment, run this store_repos_details command on all of them. And finally, restart all the OMSs using ’emctl stop oms -all’ and ’emctl start oms’. It is also necessary to restart the BI Publisher Managed Server. Oracle Cloud Management (Hybrid Cloud) – This enhancement is new in Enterprise Manager Cloud Control Release 5 (12.1.0.5). Enterprise Manager Cloud Control now provides you with a single pane of glass for monitoring and managing both your on-premise and Oracle Cloud deployments, all from the same management console. By deploying Management Agents onto the Oracle Cloud virtual hosts serving your Oracle Cloud services, you are able to manage Oracle Cloud targets just as you would any other targets. The communication between Management Agents and your on-premise Oracle management service instances is secure from external interference. Support is provided for managing Oracle Database and Fusion Middleware PaaS targets, as well as JVMD support for monitoring JVMs on your Oracle Cloud virtual hosts. You can now create a Test Master pluggable database (PDB) to use as the snapshot source for thin cloning on Exadata ACFS. For functional testing scenarios, for example on development or testing systems, business IT users now have on-demand access to production data copies without incurring the penalty of multi-terrabyte storage. This feature enables self-service users to provision non-Oracle middleware components as cloud services. It also uses Enterprise Manager’s chargeback and quota management capabilities to enable administrators to limit service usage based on organizational policies. Enterprise Manager Cloud Control now enables you to deploy JVMD agents on your Oracle Cloud virtual hosts. These deployed JVMD agents can report to a JVMD engine deployed in your private network. This feature enables you to monitor the JVMs deployed on the virtual hosts running your Oracle Cloud services as well as the JVMs deployed on the hosts in your private network using a single console, for example Enterprise Manager Cloud Control deployed in your private network. WebLogic services that have been provisioned on Exalogic systems using Service Manager can now be viewed in the Cloud Self Service Portal as part of the Exalogic Private Cloud service family. This project integrates MWaaS with the Oracle Enterprise Manager Ops Center. 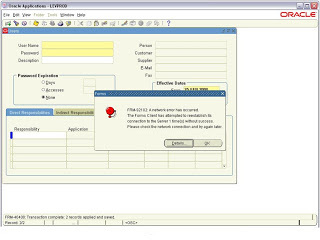 It provides the ability to dynamically add or remove the virtual hardware in a MWaaS cloud. 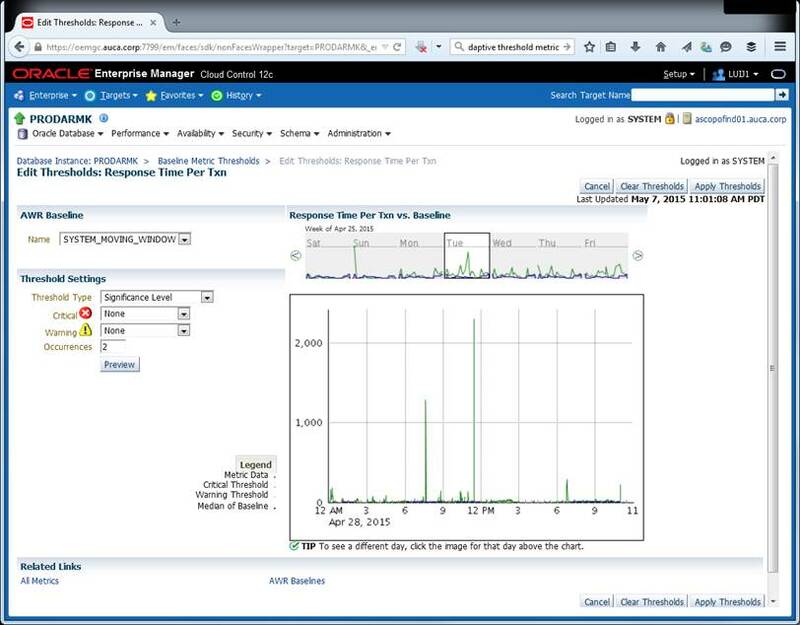 Enterprise Manager 12c is integrated with the Ops Center through the Sun Solaris SPARC adapter. An instance of this registered adapter is used by the associated PaaS Infrastructure zone to provision or delete VMs on demand. The communication with the Ops Center server is achieved through the use of a client kit. This integration enables customers to provide layered services capability in a private cloud, for example DBaaS using a Solaris VM based IaaS. Any spike in compute demand can now be handled instantly by cloud administrators. Administrators can now increase the capacity of a DBaaS pool by clicking a single button. Doing this transparently provisions a virtual machine or cluster through the associated Ops Center adapter attached to the PaaS zone. It also deploys the requisite software components, for example Enterprise Manager Agent, Grid Infrastructure, Oracle Database and so on, through the gold image provisioning or by cloning from an existing reference member of the pool. Compute resource scarcity at PaaS provider level results in the failure of self service provisioning requests. This integration helps SSA administrators to respond to such failures promptly. Peer-peer clone: Clones directly from an on-premise target to Oracle Cloud. Clone through the Software Library: Administrators can archive a gold image into the Software Library in one step and then deploy it in a separate step. Oracle Enterprise Manager now provides host consolidation support for Oracle Cloud shapes. When creating scenarios for physical server to physical server (P2P) consolidations that target new or phantom destinations, you can choose physical machines configured in the Oracle cloud by selecting the cloud computing configuration, or shape, to use as the destination. Oracle provides a wide range of shapes to help you select a combination of processing power and memory for your instances that best suits your business requirements. Through integration with Oracle Enterprise Manager Ops Center, dynamic on-demand resource provisioning enables Oracle Cloud and self service administrators to dynamically increase or decrease resources in their private cloud setup based on usage requirements. Resources can either be infrastructure resources such as hosts (based on virtual machines) or platform resources such as middleware and database Oracle homes. Resources can be dynamically added when additional service instances need to be provisioned due to high usage or decreased if existing resources are not being used. Ok Folks, I’ve been here are Oracle Open World for a few days now. 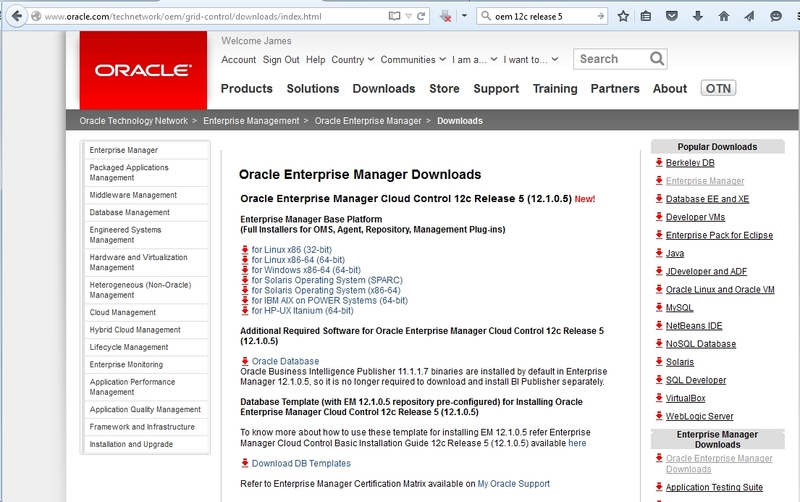 In that time, I’ve had numerous conversations about running Oracle Enterprise Manager 12c on Oracle Database 12c. I will be honest and say that I’ve enjoyed these conversations; however, after about the fourth time I decided I need to write a quick post on the explanation discussed in these conversations. With the new release of Enterprise Manager, I upgraded my 12.1.0.3.0 installation successfully using the superb documentation here. It is however, important to note that the post-steps are also important. For example, upgrading (at the very least) the Management Agent on the OMS host, and de-installation of the old-OMS home. Gokhan Atil wrote a good post on the actual upgrade process which is available on his blog. The upgrade process for agents has not changed since EM’s previous 12c releases. 1. Navigate to the “Upgrade Agents” link under the Setup -> Manage Cloud Control menu. 2. Select the agent(s) for the OMS Hosts and click “OK”. 3. With the Agents selected, click on “Submit”. You have the option to override the “Privileged Credentials” to run the root.sh script. 4. The submitted job takes a few minutes before it completes (hopefully successfully!). Very useful, even if you’re moving parts of OEM 12c from one host to another, or modifying the filesystem mounts.